Each week on this page we highlight the work of one of Russia's human rights organizations. For the purposes of this page, Rights in Russia considers a 'rights group' to be a civil society organization whose purpose includes the advancement of one or more human rights. For more information from human rights organizations in Russia, please click HERE. On 17 January 2018, masked men set fire to the office of the Memorial Human Rights Centre in Nazran, Ingushetia. As RFE/RL reported, Memorial said the action "was part of a campaign to chase it out of the North Caucasus." A senior Memorial associate, Oleg Orlov, was quoted as saying that security cameras showed two masked men arriving at the office at about 3:30 a.m. and breaking into the office through a window on the second floor. Amnesty International in a statement condemned the attack: "The Russian authorities must investigate and put an end to the coordinated assault on human rights NGO Memorial and ensure it can carry out its legitimate work in the North Caucasus." Anna Neistat, Amnesty International's senior director for research, said: "The Russian authorities, who have long sought to silence Memorial from speaking out on human rights issues, must launch a thorough and effective investigation...and bring those responsible to justice. Any failure to do so would raise suspicions about the authorities’ possible involvement." Tanya Lokshina of Russia Programme Director at Human Rights Watch, said: "This despicable attack likely has everything to do with Memorial’s work in neighboring Chechnya and its efforts to secure the release of Oyub Titiev, Memorial’s Chechnya director, who was arrested last week by Chechen authorities on bogus drug possession charges. For many years, Memorial’s Ingushetia office has been home to those documenting abuses during and after the war in Chechnya – Russians and foreigners, journalists and human rights investigators. [...] Titiev’s arrest is clearly aimed at punishing him for his human rights work and forcing Memorial to stop exposing abuses by Chechen authorities. Given these circumstances, the arson attack on Memorial’s office is surely no coincidence." Meanwhile, Memorial's office in Grozny, Chechnya, was raided three times this week, on 16, 18 and 19 January. According to RFE/RL, Oleg Orlov said that "police claimed they had found two cigarettes and an ashtray made from an empty tin can during the search on 19 January. Orlov said no such items were in the office, adding police may use them to fabricate evidence against Titiev, who was detained on what his supporters say were trumped up drug charges." Prosecutors have filed charges accusing the Saratov Regional Organization For Diabetics of failing to register as a "foreign agent" NGO, RFE/RL has reported, with court proceedings set to begin on 15 January. 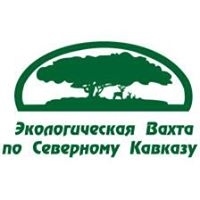 As RFE/RL notes: "For more than three decades, the nongovernmental Saratov Regional Organization For Diabetics has provided vital practical and informational assistance to the more than 80,000 people diagnosed with diabetes in Russia's mid-Volga region." The charges were filed, Novaya gazeta reported, on 28 December 2017. The pressure against the Saratov NGO had mounted last August, when one Nikita Smirnov, a local medical student and activist with the youth wing of the United Russia party, wrote a denunciation to prosecutors against the organization. Novaya gazeta reports that the academic Ivan Konovalov, who has written an expert evaluation of the NGO for the case, stated in his report: "The Saratov Regional NGO for Diabetics passes information to foreign partners about the region's so-called "sore points," especially in the sphere of medical care, that can be used to generate protest moods in society." On 27 June 2017 representatives of three Italian human rights organisations - Antigone, Arcigay and A Buon Diritto - that were visiting the offices of the Committee for the Prevention of Torture in Nizhny Novgorod were detained by police and each fined 2,000 roubles for allegedly violating migration rules before being released. The EU-Russia Civil Society Forum reported that representatives of its member organization, Antigone (based in Rome, Italy) were fined for violating migration rules in Russia. The Italian activists were accompanied in their visits by Irina Protasova, chair of the Yoshkar-Ola based NGO, Individual and the Law [Chelovek i zakon], which is also a member of the EU-Russia Civil Society Forum and a project partner of Antigone. The EU-Russia Civil Society Forum quotes Irina Protasov as saying that the Italian human rights activists were held in a police station in Nizhny Novgorod for about six hours: "During this time, the migration service representatives completed five reports on administrative offence. Each of the Antigone members that visited Nizhny Novgorod was fined 2,000 RUB (about 35 euros). After leaving the police department, the Italian activists went back to Yoshkar-Ola." Antigone is an NGO based in Rome that specializes in improving prison conditions. Arcigay is a LGBT rights organization with headquarters in Bologna. A Buon Diritto is a civil liberties association based in Rome. The Committee for the Prevention of Torture is a high profile Russian human rights NGO based in Nizhny Novgorod. The organization also has offices in the Republic of Mari El, the Republic of Bashkortostan, Orenburg region, and Moscow and Moscow region. Since 2009 it has been a leading participant in the Joint Mobile Group of human rights defenders that works in Chechnya. The Committee for the Prevention of Torture, set up in 2015, continues the work of the Committee Against Torture, which was founded in 2000 and closed down in 2015 after it was designated as a 'foreign agent' NGO. Rights in Russia has regularly reported on the outstanding work of the Committee for the Prevention of Torture, for example see here. On 20 June 2017 Caucasian Knot reported that, according to the Russian LGBT Network, since 1 April 2017 the organization has enabled over 50 LGBT people to leave Chechnya, 12 of whom have already left Russia. Since 1 April, Caucasian Knot reports, more than 100 gays have applied for help to the Russian LGBT Network. A staff member of the Russian LGBT Network told Caucasian Knot: "Almost all of them are from Chechnya. There are only two or three persons from other regions of the Caucasus. With our efforts, we transported out of the region a little more than 50 people who complained about persecution because of their sexual orientation, 12 of them have already left Russia." The spokesperson said that she believes that all LGBT people who were taken out of Chechnya "should finally leave the territory of Russia" since "in Russia, their safety will not be ensured." On 1 April 2017 Novaya gazeta reported that over 100 gay men have been brutally detained — and at least three killed — in Chechnya. On 2 April 2017 the Russian LGBT Network issued a statement on the reports: "The Russian LGBT Network is highly disturbed and concerned about the information on the kidnapping and killing of people in Chechnya because of their sexual orientation. We are also outraged by the reaction of the officials of the Chechen Republic, who in fact justify the killings. No national and/or religious traditions and norms can justify kidnapping or killing of a human being. Any references to “traditions” to justify kidnappings and killings are amoral and criminal [read the statement in full HERE]"
Matthew Kupfer, writing in The Moscow Times, stated that "the crackdown seemed like something out of the Stalinist-era repressions." Igor Kochetkov, a board member and former chairman of the Russian LGBT Network, is quoted in the article as describing the scope of the detentions as "unprecedented". He told The Moscow Times: "We are under the impression that this is a special operation to capture gays.” The Moscow Times noted, "The Russian LGBT Network has set up a hotline for LGBT people in the North Caucasus and is actively working to evacuate individuals in danger from the region." Citing Novaya gazeta, on 3 April 2017 Caucasian Knot said that a 'secret prison' for the detention of LGBT people was located in the city of Argun, Chechnya. On 5 April 2017 Caucasian Knot reported that the Russian LGBT Network had offered to assist with the evacuation of LGBT people from Chechnya. Caucasian Knot wrote: "The data on persecutions of homosexuals in Chechnya need investigators’ verification, the 'Russian LGBT-network' has stated. The organization is ready to help the victims, before they are evacuated from Chechnya." On 5 April 2017, Tom Balmforth wrote on the RFE/RL website that the Russian LGBT Network had received more than 10 appeals for help from homosexuals in Chechnya seeking to flee the southern Russian republic. The Russian LGBT Network is an NGO founded in 2006 that works to promote the rights of LGBT people in Russia. OVD-Info is an independent human rights media project based in Moscow that is dedicated to monitoring politically-motivated prosecutions in Russia. In particular, since the resurgence of the public protest movement in Russia (for example on 26 March and 12 June this year) OVD-Info has become one of the most valuable sources of information about police behaviour at rallies, including the number of detentions made by police, the treatment of detainees, and information about the court cases that follow. Last week, OVD-Info reported that at least 1720 people had been detained in Russia at the anti-corruption protests on 12 June throughout Russia (including 866 people in Moscow and 658 in St. Petersburg). These authoritative figures were widely quoted, including by Amnesty International. OVD-Info was founded in December 2011 in reaction to the mass arrests of protesters at that time in Moscow. As the organization states on its website, OVD-Info monitors politically motivated prosecutions on a daily basis and publishes information on a regular, up-to-date basis, including statements by the victims themselves. They write: "We believe that information liberates and protects, while analysis of the gathered data allows the situation to be changed for the better in the future...OVD-Info strives to be objective in the gathering and presentation of information. The project does not advance any person's political interests and does not seek to achieve any narrow political goals." OVD-Info also coordinates provision of legal assistance to people who are victims of politically-motivated prosecutions. "Freedom of assembly and freedom of speech are especially critical issues in a climate where people are regularly detained for speaking out against the government. By monitoring arrests and detentions, civil society can keep the government accountable and aware that their actions—and mounting human rights violations—are being exposed to the Russian public and the international community. In an initial response to the arrests in 2011, a group of volunteers launched OVD-Info, an online monitoring project to keep track of arrests and detentions during the protests. We put together the project in just a few days, as a quick response to the political unrest happening at the time. Between 2011-2012, OVD-Info tracked 5,166 politically motivated arrests at 228 protest events in and around Moscow. In the years following, the project has expanded to look at all issues of freedom of assembly and political oppression, collecting information, personal stories and data on people who have been detained. Because the state is unpredictable and generally tries to keep these stories out of public view, this type of work can be quite risky and the availability of funding is volatile. In the beginning, we were a small project run entirely by volunteers. When we began to expand, we acquired funding in the traditional NGO business model, by getting grants from donors, including international organizations. But in 2015, Russia passed a new law on NGO funding, which directly prohibited work with two of our major donors at that time, the Open Society Institute and the National Endowment for Democracy—labelling them “undesirable organizations.” Like many other NGOs around us, we immediately had to adapt and find new ways to fund our work.[...] Russians are engaged in this work, speaking out and fighting back, perhaps more than ever. International audiences are also participating—for example, by making online donations or sharing our reports and linking to our social media posts. But since we’ve started the project, we have witnessed a decrease in freedom of expression and freedom of assembly. It’s hard to know whether this will continue to get worse, or how much we are affecting government behaviour—but this type of impact evaluation is not the point. Even in this space of shrinking freedoms, new business models allow us to remain relevant. Without the ability to evolve and seek new ways of funding, we and other groups like us would have shut down years ago. But Russian civil society continues to innovate, to engage the public, and to hold the government accountable—in whatever ways we can." Since 14 April 2017 the Open Democracy website has been publishing a translation into English of weekly updates by OVD-Info on politically-motivated prosecutions in Russia. By kind permission of Open Democracy, Rights in Russia has also been publishing these updates. On 8 June 2017 police conducted an unannounced search of the the Moscow offices of the prisoners’ rights NGO, Rus Sidyashchay (which can be translated as 'Russia Behind Bars'). As RFE/RL reports, citing the director of Rus Sidyashchaya Olga Romanova, "officers of the Moscow police directorate for economic security and the fight against corruption searched the group's headquarters and seized documents related to its financial activities" in a probe apparently "linked to an investigation into alleged embezzlement of state budget funds." However, staff member of the organization, Aleksei Fedyarov, according to RFE/RL, said "there were no grounds for the police to search the group's office as it receives no financial support from the state." "Front Line Defenders expresses its concern at the search of the human rights organisation, Jailed Russia, as it believes it is being targeted as a result of its legitimate work in defence of human rights in the Russian Federation. "2. Guarantee in all circumstances that all human rights defenders in the Russian Federation are able to carry out their legitimate human rights activities without fear of reprisals and free of all restrictions." According to the website of Rus Sidyashchaya: "We hate prisons and prison colonies, have no patience with injustice or with the insulting of Russian laws and citizens. Rus Sidyashchaya is a project of the Philanthropic Foundation to Help Prisoners and their Children, within the framework of which we collect funds and help those who have suffered as a result of the Russian justice system, and apply our legal knowledge and professional expertise to criminal cases. We are entrepreneurs and artists, officers and poets, doctors and teachers - those who are unable to stand by while courts hand down arbitrary judgments, destroying the lives of hundreds of thousands of our fellow countrymen and women, while prosecutors, investigators and other spoiled and dirty elements remain indifferent. For them, bribery has become a part of their everyday lives, while conscience, dignity, pride and honour are treated as old fashioned atavisms. They think they have won. There are convinced that they are the real power in Russia. They are convinced of their impunity and that they cannot be brought to justice." The Sova Centre for Information and Analysis is a Moscow-based Russian nonprofit organization that was founded in October 2002. Sova Centre conducts research and related educational and advocacy work on nationalism and racism, relations between churches and secular society, and political radicalism. The NGO also pays great attention to human rights issues, with a special focus on government misuse of counter-extremism measures. Sova Centre was fined 300,000 roubles for having failed to voluntarily register itself as a "foreign agent", before that was done by the Ministry of Justice. Unfortunately, we have lost the appeal. Now we are to pay a considerable sum before mid-July. We would be grateful for any help. If you would like to help, please use one of the bank accounts below. Please indicate the purpose of your transfer as a Targeted donation for paying the fine. On 22 May 2017 the Moscow-based human rights organization Public Verdict Foundation, together with the Methodological Laboratory (a group of researchers led by Dmitry Rogozin of the Sociology Institute of the Russian Academy of Sciences), published a report on public perceptions of human rights abuses by the police in Russia. As The Moscow Times reports, citing RBK, according to the study, which questioned 786 people, almost a quarter of Russians have witnessed or experienced beatings carried out by police and medical staff: "Some 22 percent of people said they'd seen police attacks firsthand, while 12.3 percent of respondents said that they had personally fallen victim to police brutality. Another 28.6 percent of Russians had heard of similar cases from family and friends. [...] Just 41 percent of respondents said that officials should be able to carry out 'minor' human rights violations for the greater good, but that figure rose when participants were asked whether a kidnapper should be tortured to give up the location of their underage victims (reaching 63 percent), or whether a doctor should be able to violently restrain a mentally-ill patient in order to administer drugs (73 percent)." As the website of Public Verdict Foundation states, the organization was set up in February 2004 "as a non-profit, non-partisan organization offering legal assistance to victims of human rights abuse at the hands of law enforcement officers in Russia." The founders of Public Verdict include the International Memorial Society, Moscow Helsinki Group, Open Russia, the Aleksandr N. Yakovlev Democracy Foundation), and the Russian Regions Foundation. Natalia Taubina, director of the Public Verdict Foundation, says about the organization (on the group's website): "We work to help people defend their rights, and we wish that the authorities as well as the public abide by the law, so that the term 'arbitrariness' is rarely, if ever, used to characterize life in Russia. How does the Public Verdict Foundation operate? Transparency is the central principle we live by. The Public Verdict Foundation offers legal assistance and disseminates best practices to help individuals and groups restore their rights violated by law enforcement officers. The Foundation assists law enforcement authorities in preventing and suppressing violations of human rights and civil liberties. An important part of our mission is to promote the development of regional human rights groups and to support their work. The Foundation engages in educational and analytical work, and commissions relevant studies from reputable sociological institutions and think-tanks. The Foundation develops recommendations to improve law enforcement practices in Russia, and consults with government and NGOs regarding these recommendations. The Foundation engages in public and media campaigning. The Foundation promotes international standards of human rights and civil liberties in the Russian Federation, and advocates for effective domestic application of international human rights mechanisms. The Foundation offers its assistance to all Russian citizens whose human rights and civil liberties have been violated by unlawful acts of the law enforcement authorities." For recent interviews with Natalya Taubina by Rights in Russia, see here in English and here in Russian. For more information about Public Verdict Foundation on Rights in Russia, see here, here and here. On 17 May 2017 the Supreme Court of Adygei quashed cases against Environmental Watch for Northern Caucasus (EcoWatch) brought under the foreign agent law, and cancelled fines that had been imposed earlier on the NGO under the same law. As Caucasian Knot, reports, citing Andrei Rudomakha, the coordinator of EcoWatch, a judge sitting in Maikop City Court had fined EcoWatch and its leader under administrative law for failing to include indications that the group was a 'foreign agent' NGO on press releases it published. The suit against EcoWatch had been brought by the government media oversight agency, Roskomnadzor, for the Southern Federal District. According to Andrei Rudomakha, on 17 May 2017 the Supreme Court of Adygei quashed these judgments on appeal on the grounds that EcoWatch had not been informed by the Ministry of Justice that it had been included in the 'foreign agent register' at the time of the publication of the press releases in question. Legal support for EcoWatch in the case was provided by the NGO Lawyers' Club. Rights in Russia has earlier reported that, on 21 March 2017, Sofia Rusova, a board member of the North Caucasus Environmental Watch (also known as EcoWatch), an NGO, was detained during a one-person picket she was holding in Moscow. As Caucasian Knot reported, Sofia Rusova was protesting against the construction of ski resorts in the Caucasian Reserve: "The Caucasian Knot has reported that today the activists Sofia Rusova and Atsamaz Khadikov have held solo pickets at the building hosting the Eighth International Environmental Forum, in protest against the activities of the Electrozink Factory and the construction of a resort in the territory of the Caucasian Reserve. At first, the guards tried to tear up the picketers’ posters. A journalist Maxim Rumyantsev how was at the place of the incident, called the police, stating that Rusova 'had used violence' against him. According to Sofia, he tried to grab the poster [that read] 'No to construction of ski resorts in the territory of the Caucasian Reserve!' "
On 12 May 2017 Moscow police released a report explaining that they had earlier refused to investigate an attack on the head of the human rights NGO Committee for the Prevention of Torture based in Nizhny Novgorod, Igor Kalyapin, at a 2014 press conference at which he voiced criticism of the Chechen authorities, on the grounds that the assault was carried out to ‘protect’ Chechen President Ramzan Kadyrov. This failure of the Moscow city police to take action in the case of this assault on Igor Kalyapin (an assault that took place in public with many witnesses and was videoed) is one further demonstration of the climate of impunity in which such brazen and outrageous assaults against human rights defenders are carried out. The Moscow Times reports that Igor Kalyapin, who is also a member of Russia's Human Rights Council, was pelted with eggs at the Moscow news conference held in December 2014 at which he had condemned Chechen authorities for their use of "mass punishment" as a weapon against armed groups. Citing MediaZona, The Moscow Times states: "Moscow police formally refused Kalyapin's request to press a charge of hooliganism in July 2016, but only released a report on the decision in early 2017. [...] The document defends the man's actions as 'in Kadyrov's defense'." Igor Kalyapin has been attacked on several other occasions, The Moscow Times notes, including an incident in the Chechen capital Grozny on 22 March 2016 when "a group of fifteen men beat the activist close to a hotel [...], also pelting him with flour, eggs, and green disinfectant dye." This assault followed an attack on members of the Joint Mobile Group, an organization that combats human rights abuses in Chechnya, that took place on 15 March 2016. On that occasion, as Frontline Defenders describe: 'On 9 March 2016, masked men physically attacked and set fire to a bus carrying a group of human rights defenders and journalists from Ingushetia to Grozny, the capital of the Chechen Republic. The human rights defenders and journalists were travelling together whilst participating in a press tour organised to publicise the work of the Joint Mobile Group (JMG). Later on the same day, armed and masked men attacked the office of Joint Mobile Group in Karabulak, Ingushetia." As Frontline Defenders set out in the same piece, "Joint Mobile Group was established in November 2009 by a group of Russian human rights organisations, with a leading role played by Committee for Prevention of Torture (CPT). It was created following the murder of human rights defender Ms Natalya Estemirova, in order to provide victims of human rights abuses in Chechnya with legal aid. JMG received the Front Line Defenders Award in 2011 for their work in investigating torture and disappearances in Chechnya, and was also the 2013 recipient of the Martin Ennals Award." As Rights in Russia has reported earlier, on 6 March 2017 the Committee for the Prevention of Torture received the Homo Homini Award for 2016 in Prague. The Homo Homini Award is given annually by the Czech human rights organization People in Need since 1994 to individuals and organizations for their contribution to the defence of human rights, democracy and non-violent solution of political conflicts. Each year the award is presented at the One World Film Festival, the world's largest human rights film festival. As Caucasian Knot reported, Igor Kalyapin, the chair of the Committee for the Prevention of Torture, said at the ceremony: "We find extremely important to feel support and solidarity of ordinary people, who are ready to defend human rights not only in their own country, but throughout the world, and who understand that a human rights violation in a neighbouring country will inevitably lead, sooner or later, to problems in their own country." The Committee for the Prevention of Torture is a Russian NGO based in Nizhny Novgorod. It also has offices in the Republic of Mari El, the Republic of Bashkortostan, Orenburg region, and Moscow and Moscow region. Since 2009 it has been a leading participant in the Joint Mobile Group of human rights defenders that works in Chechnya. The Committee for the Prevention of Torture, set up in 2015, continues the work of the Committee Against Torture, which was founded in 2000 and closed down in 2015 after it was designated as a 'foreign agent' NGO. 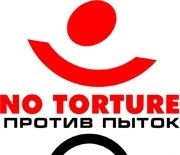 The website of the Committee for the Prevention of Torture states that the Committee "was created as a human rights organization with the purpose of exercising public control over the problem of torture application and violent treatment in Russia and granting professional legal and medical aid to torture victims. [...] In the framework of a public investigation lawyers of the Committee conduct an independent self-contained investigation, but its results are used as admissible evidence within the official investigation and later in the courtroom. The hallmark of the organization is its professional legal approach to solving tasks connected to with protection of human rights and lawful interests. This approach has been used since the Committee was created and accounts for the success of the organization. From the moment of the Committee foundation its specialists have checked about 1000 applications dealing with human rights violations, have conducted hundreds of public investigations and have made the state and its representatives pay millions of rubles as compensation to people who suffered from unlawful actions of law enforcement agents. Besides, thanks to the efforts of Committee lawyers, more that 70 law enforcement agents were convicted under torture cases. Another very important mechanism of human rights protection that has no systematic counterparts in the Russian human rights community and is widely used by the Committee is representation of Russian citizens at the European Court of Human Rights in Strasburg by highly-qualified Committee lawyers. By now specialists in European law of the Committee have prepared and filed 75 applications to the ECtHR. Under the most wide-known case, “Mikheyev vs. Russian Federation”, January 2006, the Court adjudicated in favour of the applicant, found Russia in breach of the European Convention on Human Rights and Fundamental Freedoms and obliged the state to pay Mr. Mikheyev 250 thousand euros as compensation. At present this is the biggest compensation the European Court enforced upon Russia."